Copyright by Sage Publications. Final article published as Doellgast, V., Batt, R. & Sorensen, O. H. (2009). 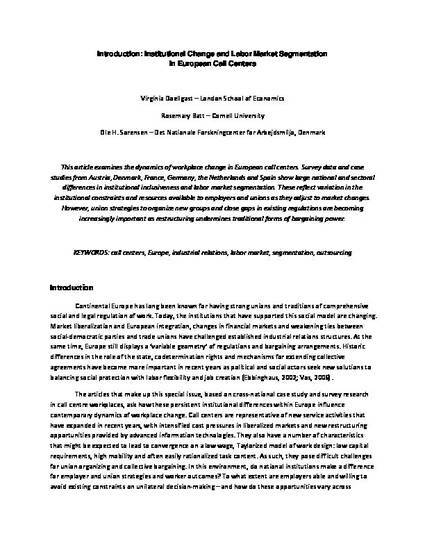 Introduction: Institutional change and labor market segmentation in European call centers [Electronic version]. European Journal of Industrial Relations, 15(4), 349-371.